This weekend marks the unofficial start of SUMMER! After a long, cold winter I am ready for some summer fun in the sun. But I don't want to break the bank when the best part of summer is just enjoying the beautiful weather and getting outside. 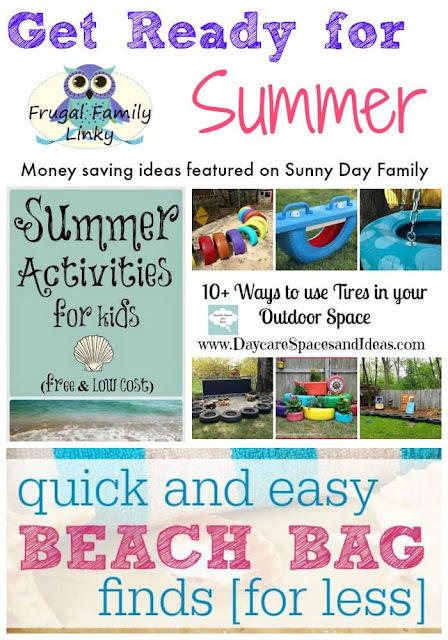 This week we have some great features on how to enjoy your summer the Frugal Family way! 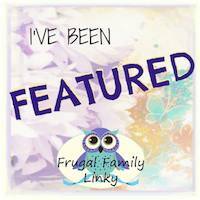 A Day in the Life of TJ gave us a great list of free & low cost Summer Activities for Kids. Pin this one for those days when you need an idea of something to do! Daycare Spaces and Ideas pulled together some fabulous Ways to use Tires in your Outdoor Space. We spend pretty much the whole summer in our backyard, and I can't decide which of these I want to make! Heading to the beach? Written Reality shared Dollar Store Beach Essentials so you can pack your beach bag for less!